Kate employs a combination of aesthetics and ecology in her designs, creating a harmonious marriage between the ecology of the site and artistic liberty. Her credits include the Skidmore Community Garden, the Forest Garden project at Flying Trillium Nature Preserve and Gardens, and private residences. Incorporating the stumps was a fun part of the design. A view of the Garden shortly after ground was broke. Students cultivating the new Garden! Within a circuitous grove of hemlocks, Aquilegia canadensis dances around the forest floor. A stone patio and horseshoe-shaped bed (not shown) complete this fairytale design. 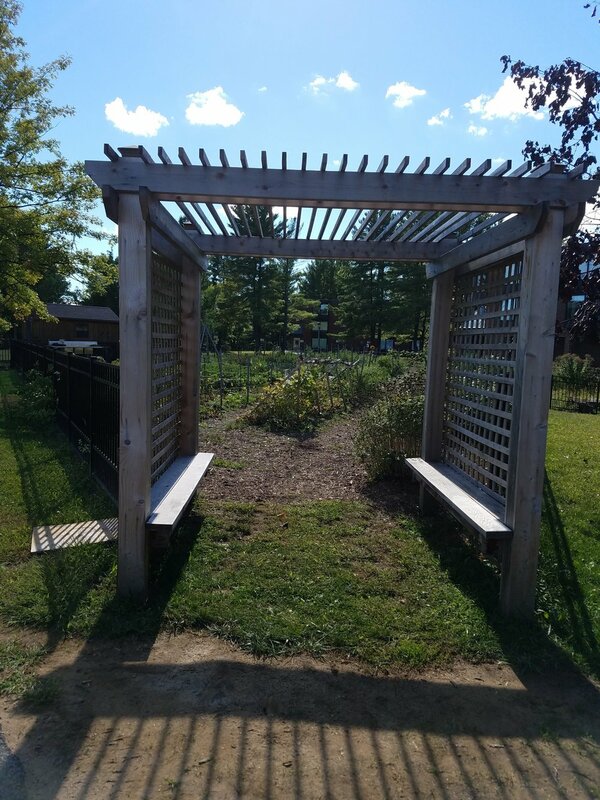 The arbor welcomes students into the garden year-round.